This post was originally published in June of 2014. It has been updated for your reading enjoyment. 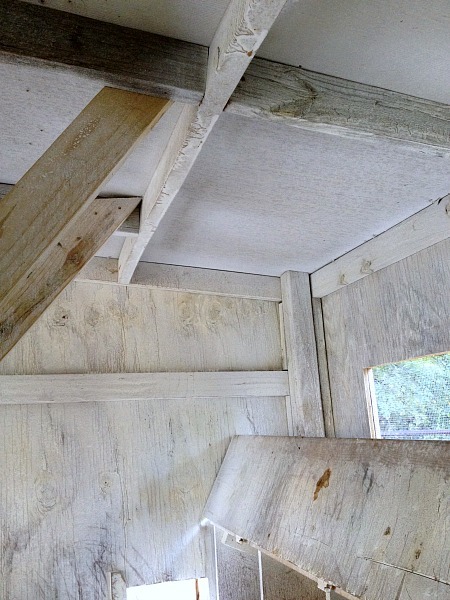 Whitewash has been around for well over a century and is a simple means to spruce up your coop or barn while benefiting from its ability to help keep bugs from using the wood surfaces to breed. While many “old timers” remember whitewashing barns, coops, and tree trunks, finding much information on the subject is a bit complicated. It would appear that this is one of those cases where it was such common knowledge 50 years ago that no one bothered to really cover the subject well. I remember reading Tom Sawyer as a kid and the imagery of Tom whitewashing the fence is burned into my imagination. In fact, I would say that image is a big part of what I have always imagined life to be like at the turn of the century. Whitewashed buildings and fences are quintessential 1900’s America. 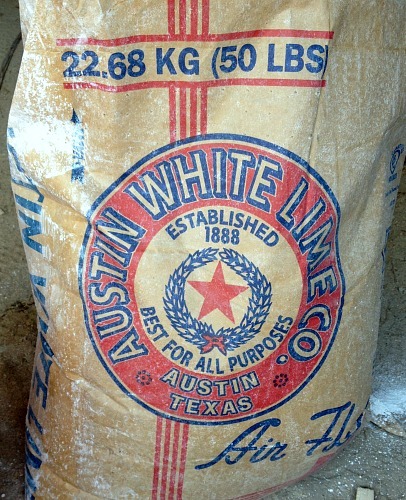 I first stumbled across the idea of whitewashing at 5 Acres and a Dream. They have a recipe but many recipes out there are at best complete but seldom contains preparation instructions and at worst are partial and just mention lime, a sticking agent, and water. Essentially that is all you need but if you are unfamiliar with whitewash that is far to simplified to be an effective recipe. Given the benefits of lime whitewash in helping to curb insect infestations in the coop and barn I decided to dig around until I found a semi-workable recipe and do some experimentation. Most of the recipes recommend salt or other things along those lines for a sticking agent but I found one that mentioned horse hide glue flakes. That got me thinking about possibly using other types of glue. Then it hit me. Elmer’s school glue. 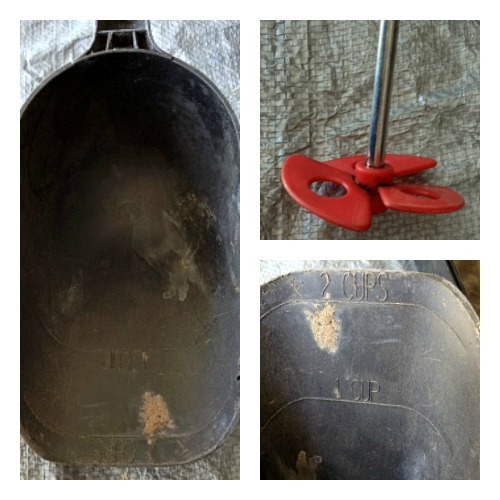 It is non-toxic, safe to use, and would potentially create a great sticking agent. I bit the bullet and bought a few $0.99 bottles of Elmer’s to give it a try. Before mixing up the whitewash I removed the nesting materials and used my shop vac to clean out the nesting boxes. I also removed anything I didn’t want whitewashed such as the feeder, thermometer, oyster shell feeder, etc, as well as the ramp and the walk way for the nesting boxes. I removed those two items to make it easier to whitewash the bottoms so that I could coat them well. I then mixed my materials. 12 cups hydrated lime (remember there are different types of lime so it is important that you make sure that you get hydrated lime. It is also known as mason’s lime). 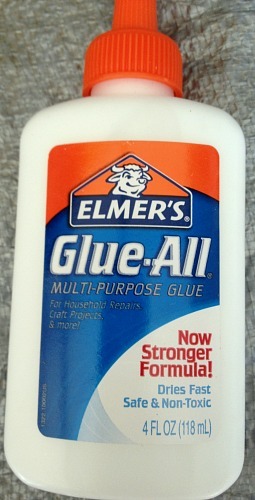 One 4 oz bottle of non-toxic Elmer’s multi-purpose school glue. I used a 5 gallon bucket and started with just the water. I then added the lime 2 cups at a time with a scoop, mixing well between with a mixer for my drill. When done I added the entire bottle of glue and kept mixing until I got a nice even consistency and everything was mixed well. Remember that this is a slurry so it will not be the same consistency as paint. You will be able to tell very easily when it is well mixed. Make sure that you wear a mask while handling the powder as it is not good to breath the dust due to the alkalinity. You should also wear gloves while painting the slurry on as it will dry out your hands and might cause some mild burns if you are sensitive. I had some of the lime get inside my gloves unbeknownst to me and I didn’t switch gloves. My left hand was very dried out for a few days but I suffered no adverse effects. This is where some additional experimentation comes in. I wanted to try spraying the slurry on the walls rather than painting it on, as I was working by myself and I figured that would be much quicker. Unfortunately the slurry was too thick. Just like with any water based or oil based paint it needed to be thinned. When the slurry was thinned enough to be sprayed an additional 2-1/2 gallons had been added for a total of 5 gallons of water. The problem with it being thinned to this point was that it caused runs in the final coat. It did coat the walls but the appearance left something to be desired so the next time that I whitewash I will be applying it in the traditional way with a brush. It appears that the glue is doing its job as the lime is sticking fairly well (some will rub off regardless of what sticking agent you use but this is not a problem). All in all I am pleased with how it turned out and I think that when I redo it in the spring next year it will be exactly what I want with the above changes implemented. Let me know how yours turns out. Have a great day and God bless! Update: After 6 months the whitewash is holding up very well. It is still sticking well to the walls and ceiling. Since I did this we have renovated the coop and the nesting boxes were moved outside and attached to the wall. This has resulted in the nesting boxes coming in contact with a lot of water which has washed most of the whitewash off but this is to be expected as it is a powder, not a paint. The topside of the ramp still has some lime on it but the bottom side is still well coated. All-in-all I am pleased with the performance of the whitewash and the Elmer’s glue. I will be whitewashing the coop again as part of our spring cleaning in the coop. As a side note I will be looking into a different tip for my sprayer to see if I can get it to spray again. After the sprayed coat dried the next day it was better than I initially thought so with a larger spray tip and a lighter first coat followed by a second coat may render me a better result. If I don’t find the spray tip that I want then I will just paint by hand. It is very easy to do once you understand that the slurry goes on very thin and will dry white. Whitewashing your coop or barn is beneficial in insect control but information on recipes and how to whitewash are sparse and often lacking. 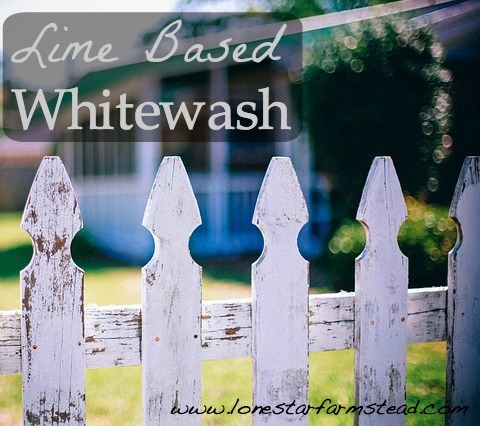 Get the information you need to make and apply whitewash. I will definitely have to remember your Elmer’s glue instead of hide glue trick, I never would have thought of that! Thanks! I was hoping for a little less streaking but otherwise I’m happy with the results. Thanks! So far it seems to be working great. I may try two bottles per batch next time just to experiment and see of it sticks better or stays the same. We shall see. Add two cups of salt per two cups of hydralized lime and bottle or two of elmer’s glue in gallon of water and roll on with roller! The process is so quick with an extended paint roller. The water is in effect a catalyst — the CO2 has to dissolve in water first. This is why you can’t let it dry out. But the reaction doesn’t take place fast. So try this: Do your painting. Do it it several coats with each one just wetting the the previous one. Follow up with a light mist coat. While this takes longer you should get a coating that lasts longer.